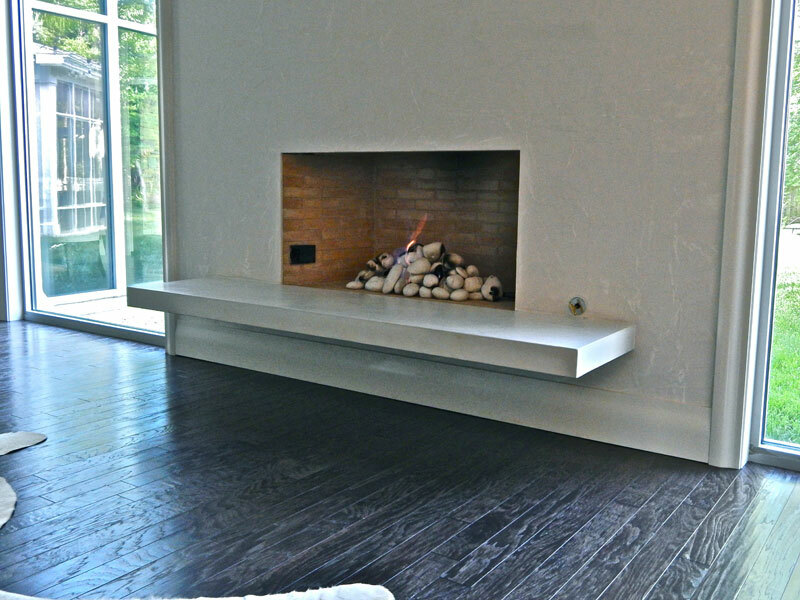 At Concrete Creations we are motivated by concrete. The potential that we see in the material is what lights us up and enables us to thoroughly enjoy the work that we do. Your finished product will be unlike any other, hand crafted to allow you to share in the design. 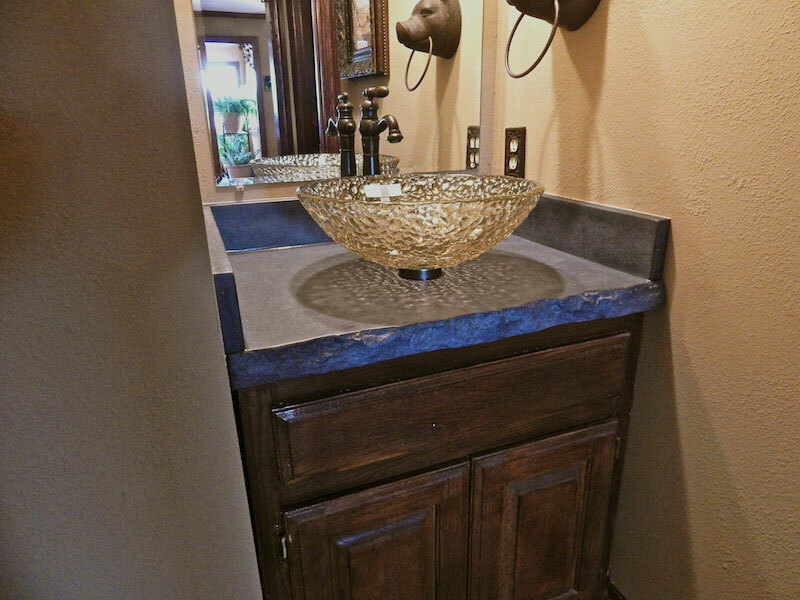 A leader in the industry, Concrete Creations offers decorative concrete services that range from kitchen and bath countertops, sinks and showers, furniture for indoor and outdoor spaces, to integrated sinks and Glass Fiber Reinforced Concrete. 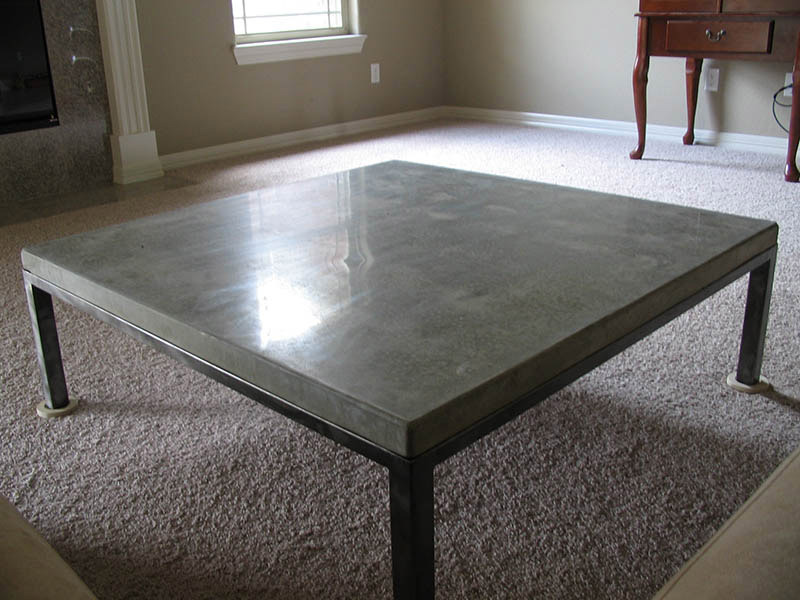 Let Concrete Creations create a custom concrete work of art for you. 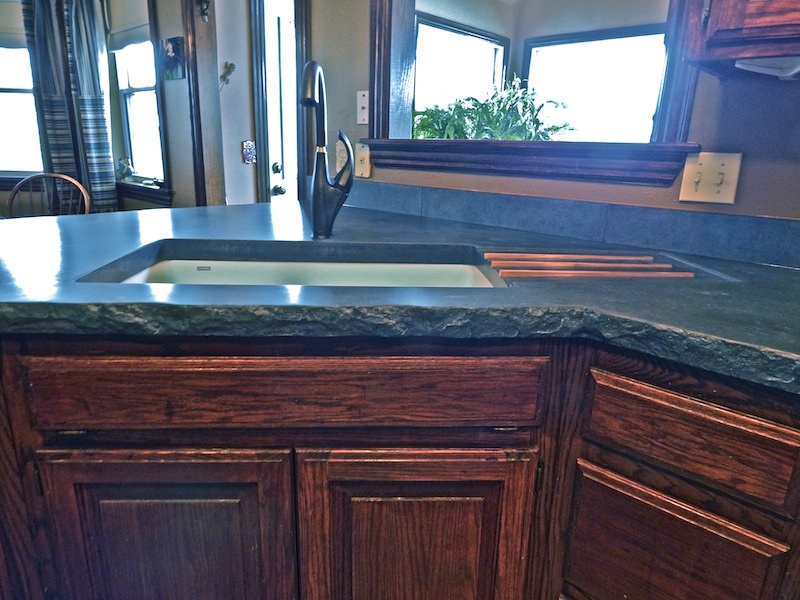 Decorative concrete countertops and furniture are a green alternative to synthetic products and non-renewable quarried stones such as granite or marble. 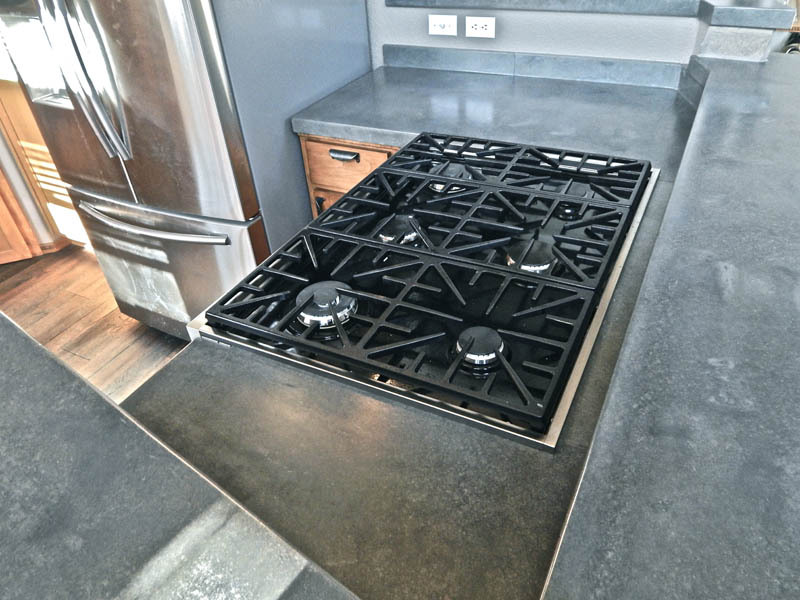 Concrete allows for a variety of options that other materials do not include such as custom colors, metallic inlays, shells, or family heirlooms for a personal touch. 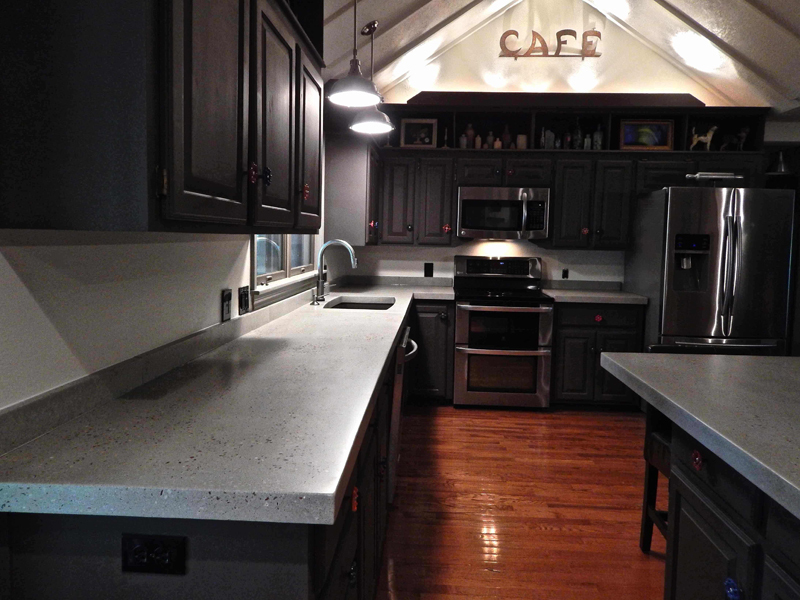 For added interest decorative aggregates such as colored glass, stone or photo luminescent glass can be added to the concrete mix so that when the countertop is grinded, the aggregate is exposed. 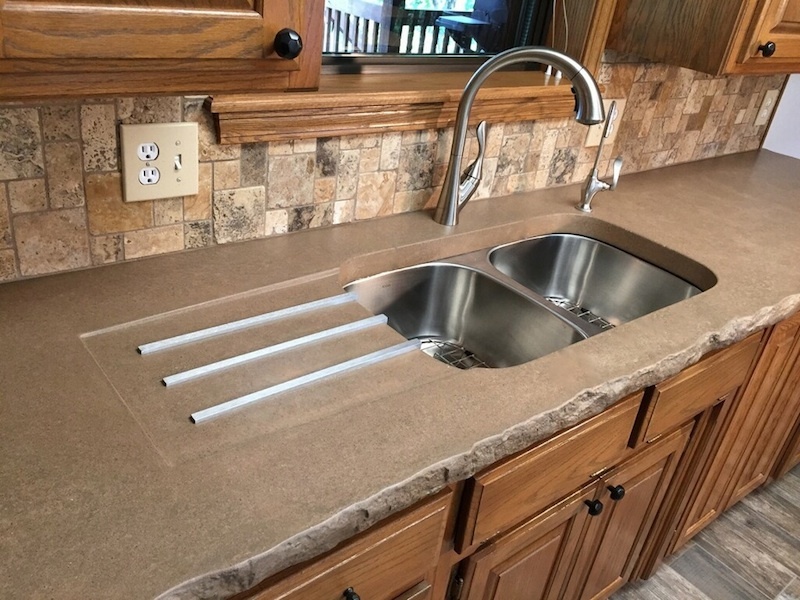 If you are looking for an alternative that is unique and personal, something that looks natural and has character, or need a color or texture that’s not available with other countertop materials, then decorative concrete may be right for you. In an age where planned obsolescence is the norm, our mission at Concrete Creations is to design pieces of lasting value and quality. Concrete is honest. When it is made correctly, it should have subtle variations. It will mature and improve over time. It has subtle variations in color and appearance within a single piece and will differ slightly from piece to piece. 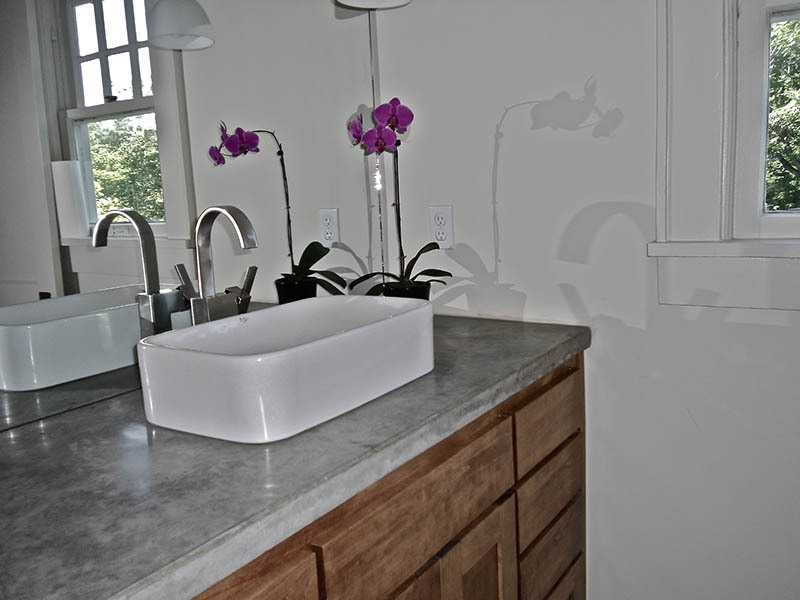 These subtle variations are the source of aesthetic beauty that is concrete. 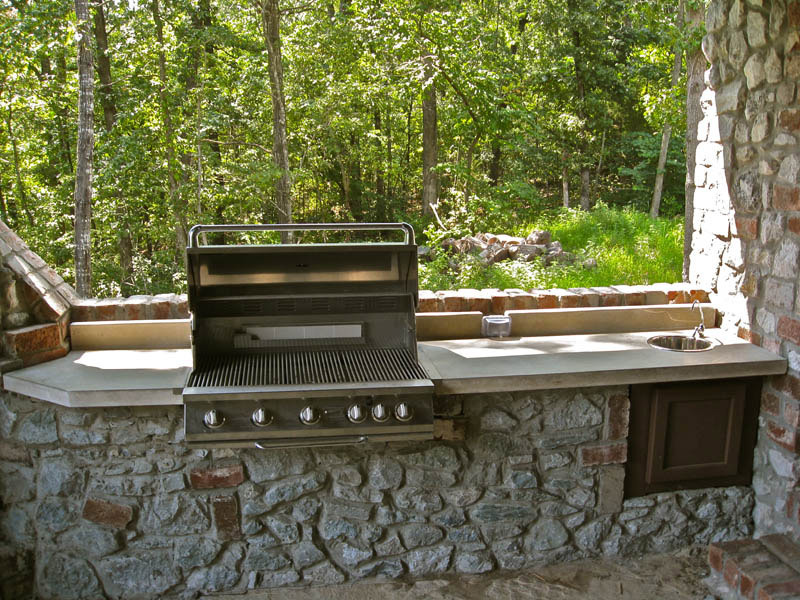 We think that decorative concrete design is the most exciting thing to happen in construction. 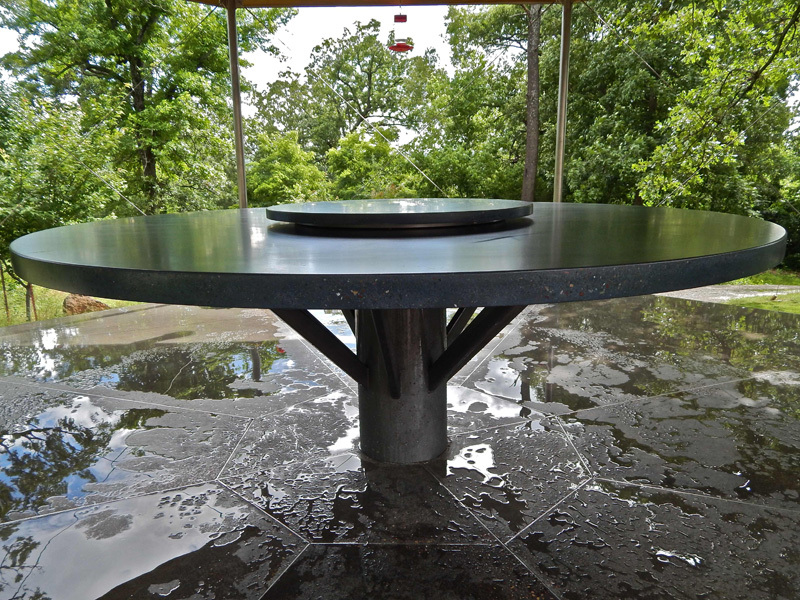 Visit our photo galleries to see how concrete can be your solution.